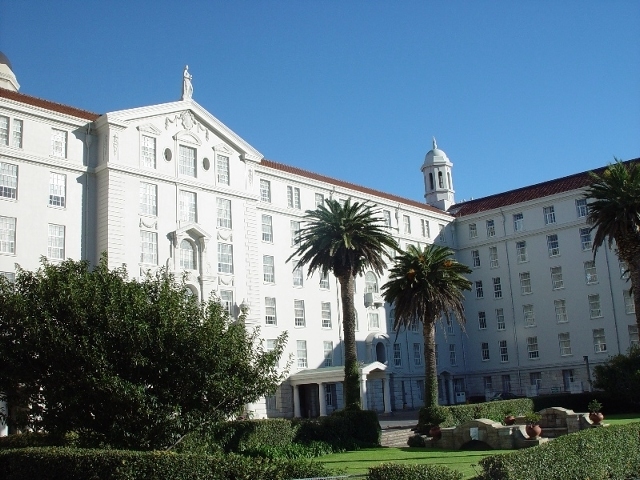 Nestled in the shadow of Table Mountain Groote Schuur Hospital takes its name from the estate bequeathed by Cecil Rhodes to the people of South Africa. While the hospital is undoubtedly best known for the world’s first heart transplant performed by Christiaan Barnard in 1967, it is also where Allan Cormack first conceived the computer assisted tomography scanner eleven year earlier, in 1956. Following in the footsteps of these pioneers, CapeRay conducted a clinical trial of Soteria, our full-field digital mammography (FFDM) system, at the hospital in October 2012. 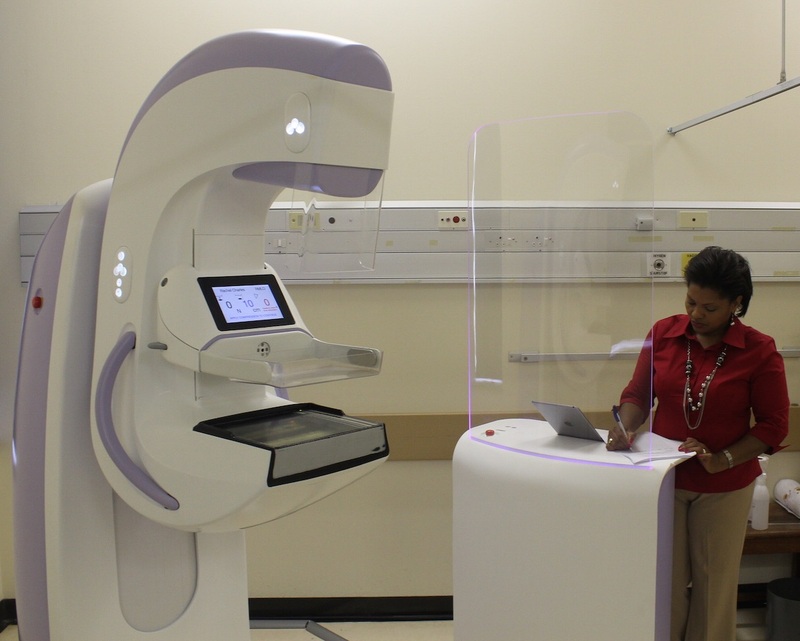 Earlier this month we installed our second-generation Aceso system – integrating FFDM and automated breast ultrasound (ABUS) in a single platform – at Groote Schuur Hospital, just two floors up from Barnard’s operating theatre, now the Heart of Cape Town Museum. Following extensive testing by our engineers, Pierre Gouws flew down from Johannesburg last week and conducted independent tests on Aceso’s FFDM modality. Then, earlier this week we heard from the radiation control division of the Department of Health that our “licence to use” had been granted. This was the green light to begin a pivotal clinical trial under the auspices of the University of Cape Town’s human research ethics committee. Today, on one of the last days of breast cancer awareness month, our mammographer Norah Mabota acquired dual-modality images for our first two healthy volunteers. Seen at left, Norah puts Aceso through its paces before inviting the first subject to participate in the study. We plan to enroll 50 volunteers in the trial and between 10 and 20 patients with confirmed breast cancer who are being treated by clinical specialists at the hospital’s breast clinic. The purpose of this trial is quite simple: to demonstrate the equivalence of Aceso’s FFDM and ABUS images to predicate devices; and to explore the potential of enhancing a radiologist’s diagnostic success by fusing (or co-registering) the dual-modality images. We are especially interested in the ability of the ABUS modality to detect lesions in women with dense breast tissue that might mask the lesion in the FFDM modality. When a malignant lesion is not picked up in a routine screening mammogram, the false negative finding can have devastating consequences for the woman concerned. This is where Aceso’s combination of FFDM and ABUS should make a significant difference. As we return to Groote Schuur Hospital, we are inspired by men like Cormack and Barnard who contributed positively to the health of many people around the world. I think you have a winner! They are going to have to rewrite the breast investigation book. Best of luck with your trial! detect breast cancer at a very early stage. The equipment is so sophisticated and I still wonder why this equipment is not used standard in every hospital. Another major milestone in this important development. To David, Rob, Leendert and JP: Many thanks for your words of encouragement! This is indeed an exciting time for us. Watch this space for further updates!